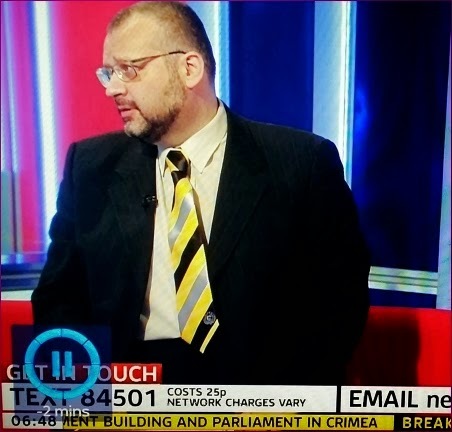 Here's Jonny wearing his Nairn County tie on Sky News. week County exited the Scottish Cup at Arbroath but came away invigorated by a top-class performance at Gayfield. "It's Ladies Day at Station Park tomorrow so we have a special cover for the matchday programme as well as an exclusive interview with club captain Michael Morrison and a look at supporter Chris MacKinnon's epic Himalayan trek. On sale pre-match today for £2"
Fans have two fund raisers for the Ground Improvements Fund coming up this month. More details here. Love NCFC's new style of footwear displayed on the programme, maybe explains some of the results this season! I assume there will also be a men's day to ensure that we have equality?